Education is said to be the greatest legacy parents can leave to their children, and the knowledge one gains from it is a gift no one can take away. It is why we put so much value in education and invest so much of our time and money to give our children the best there is, from elementary until they graduate with a degree. If you're a new parent, you might think that this is something that doesn't concern you just yet. 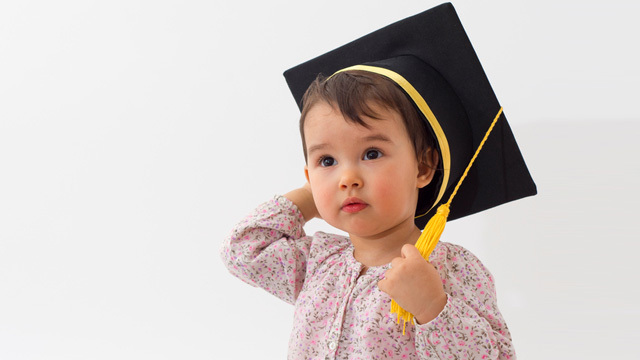 Your child is too young, after all, for you to be thinking about college. But seeing how much you're supposed to shell out 18 years down the line when it's time to send your child to university, is probably the best wake-up call. 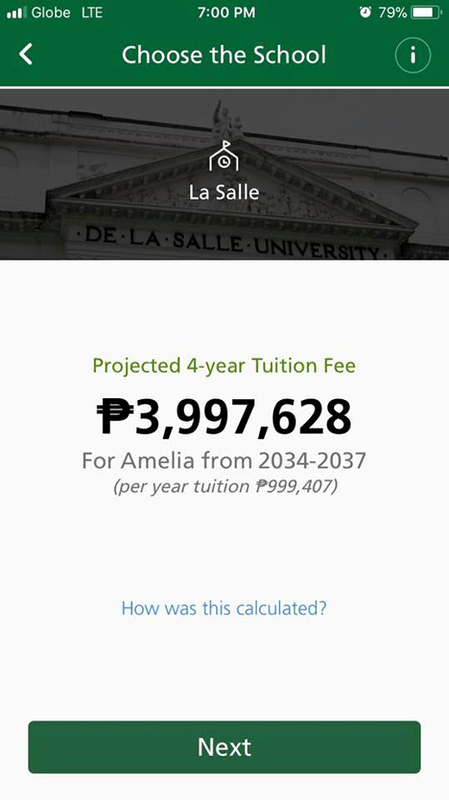 Good education comes with a price, and a hefty one at that—think close to half a million pesos per year in a top university by the time your child (assuming he is still just a toddler now) will go to college. * Multiply that by four years (for a four-year course), and you'll be racking your brains just looking at that amount. But the silver lining is that you have plenty of time in your hands, and you can make time your ally. That, along with a helpful money saving tool that will help you less overwhelmed by the numbers. 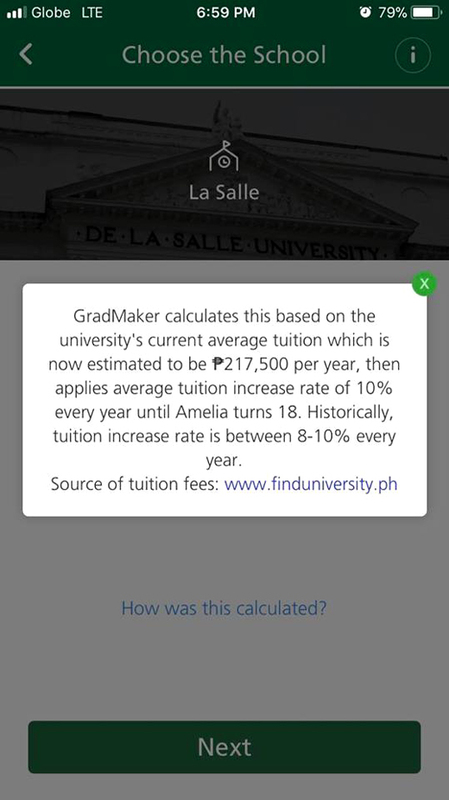 The tool is GradMaker, a mobile application by Manulife that offers flexible and convenient investing with just a few clicks. Manulife says it is designed for parents who may be too busy to meet with financial advisors. 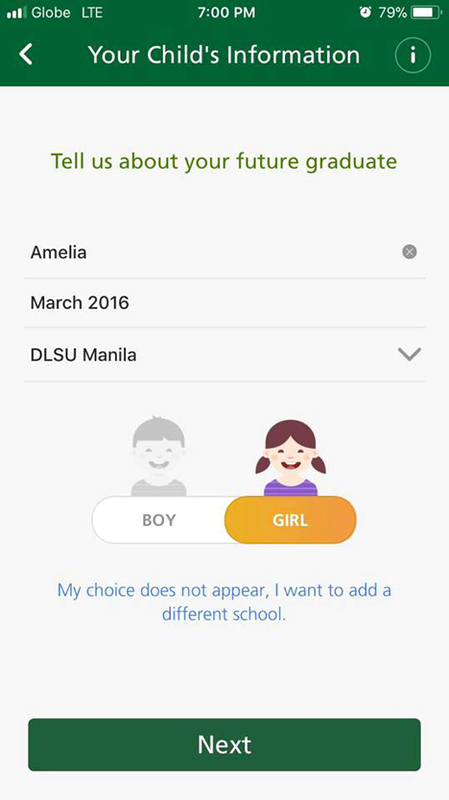 The app allows you to purchase policies anytime (subject to terms and conditions). 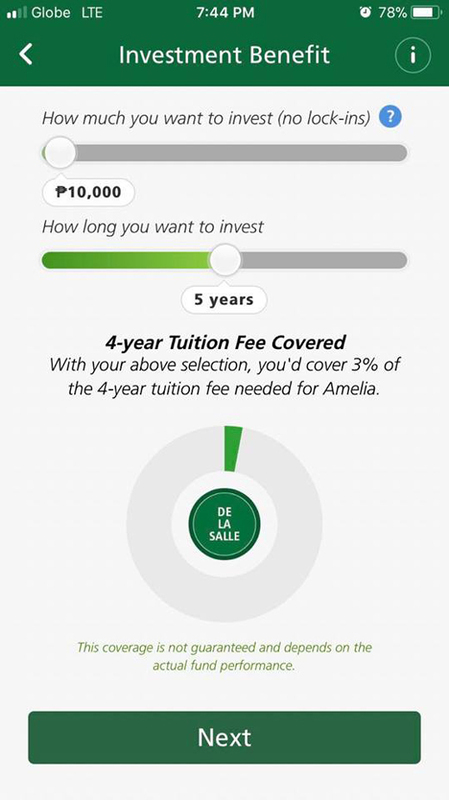 But the two best things about it are these: 1) parents can get started with just Php10,000, and 2) they are not bound to a monthly payment schedule because they decide when to invest. GradMaker invests in professionally managed funds of stocks and bonds to help customers achieve long-term growthand also gives life insurance coverage of at least 125 percent of the customer’s single premium. You can download the GradMaker app for free from the Google Play Store and Apple App Store, or visit their site for more information.